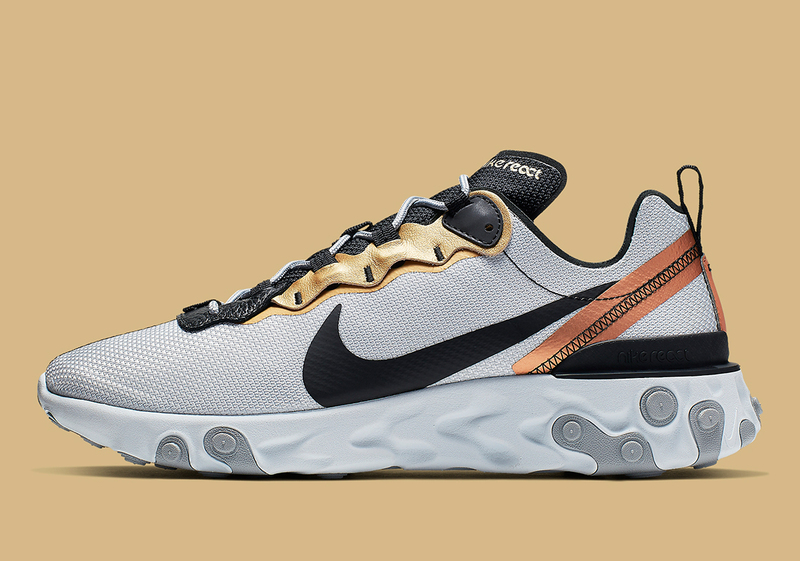 With a unique upper that’s ripe for colorway/material experimentation and a versatile style, Nike’s React Element 55 has surfaced in a handful of interesting colorways as of late — and the latest to appear is this new “Gold Ranger” style. 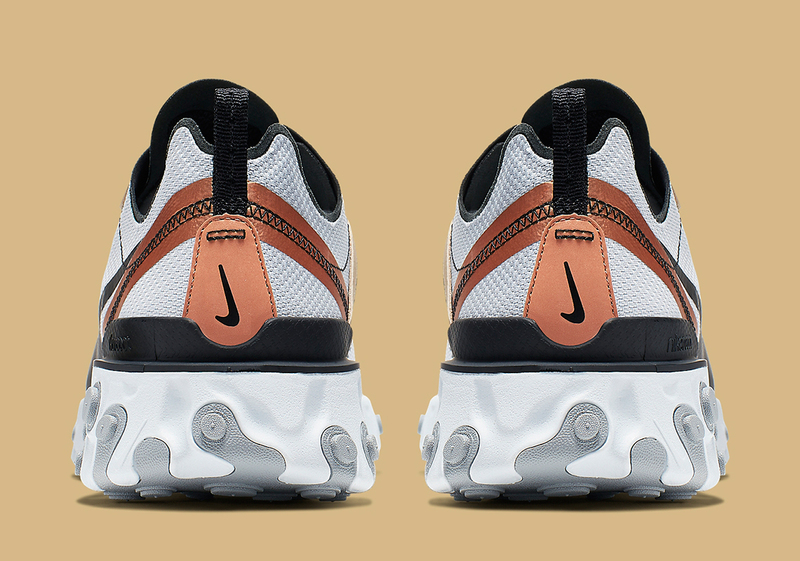 The grey base discards the standard stretchy fabric typically utilized on the 55, opting instead for a tightly woven mesh, while a black Swoosh and black tongue made of the same new mesh material offer a stark contrast. 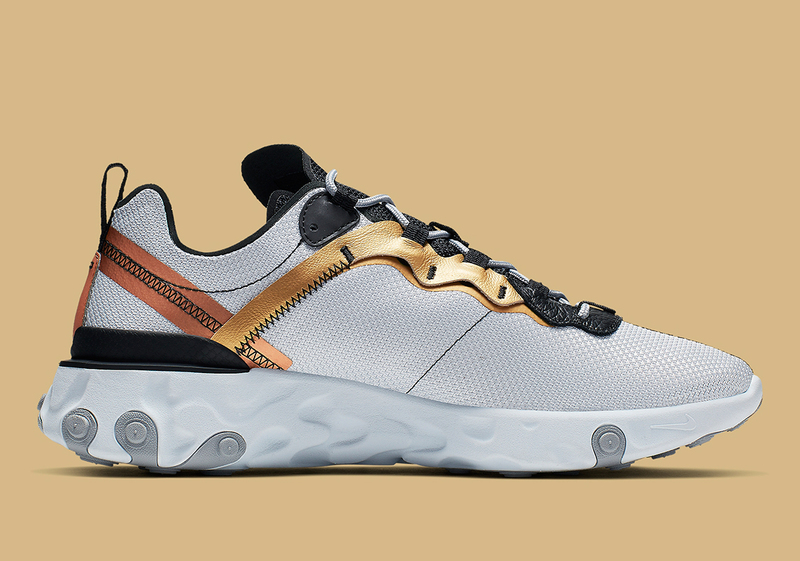 However, the shoe’s most noticeable feature is unquestionably its metallic metal accents: kingly gold leather adorns the eyelets, and a bold bronze taped strip wraps around the heel. 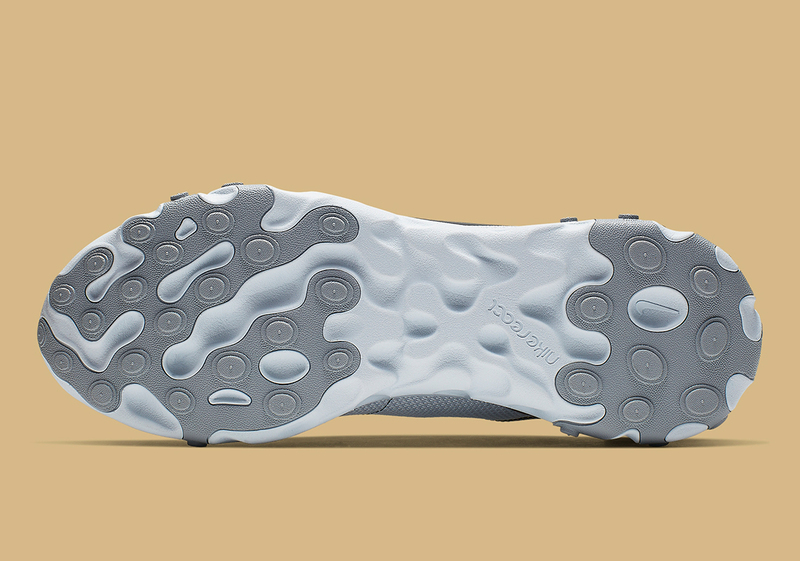 The shoe is then completed by a soft grey React midsole with medium grey plugs. 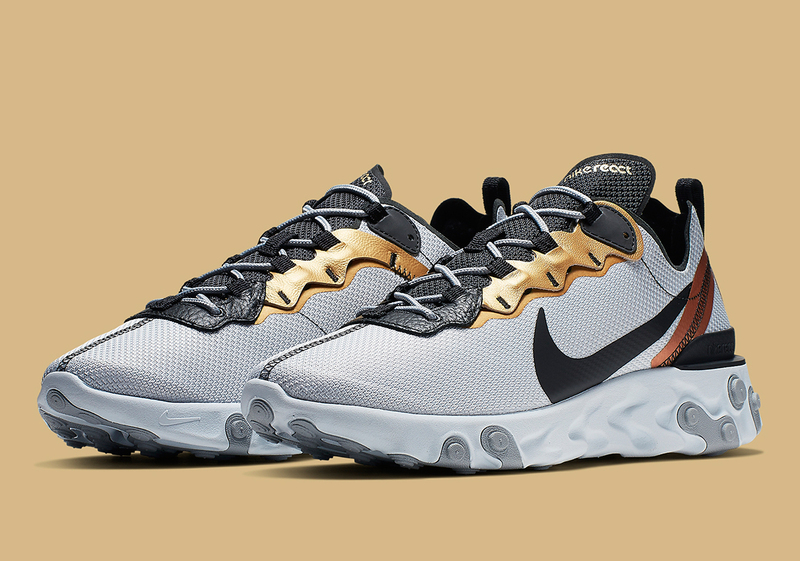 It remains to be seen, but with more compelling releases like these, it’s not a tremendous stretch to think that the 55 could eventually obtain a similar level of popularity to its proverbial “big brother’ silhouette, the React Element 87, in 2019. 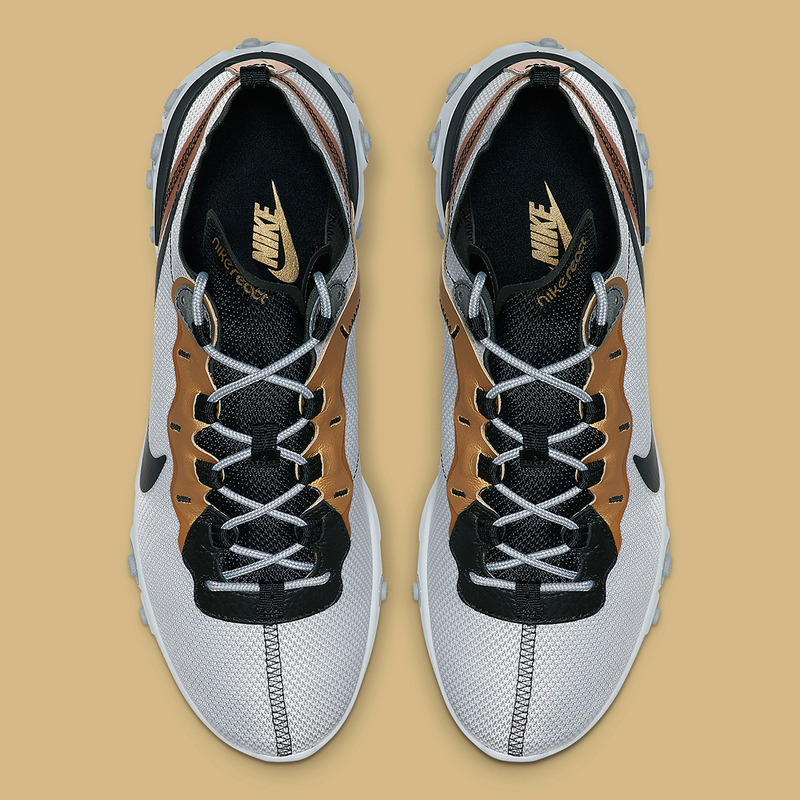 Check out a full set of official images below, and expect this new design to hit Nike.com on March 15th for $130 USD.